Winter can be long, cold and harsh in Canada so every year we to defrost our bodies by heading south for a family vacation. 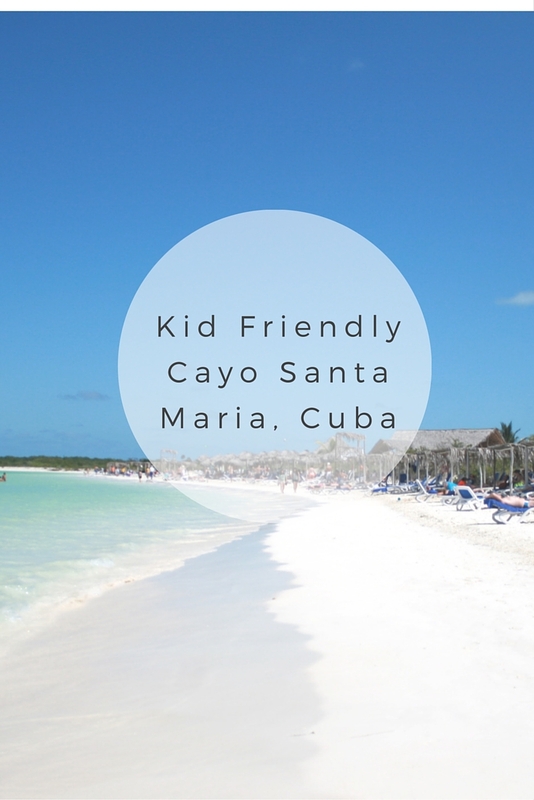 For a previous “defrosting” vacation our destination of choice was Santa Clara, Cayo Santa Maria, Cuba. We have been to Cuba before, Varadero and Havana area, but had never been to Santa Clara. 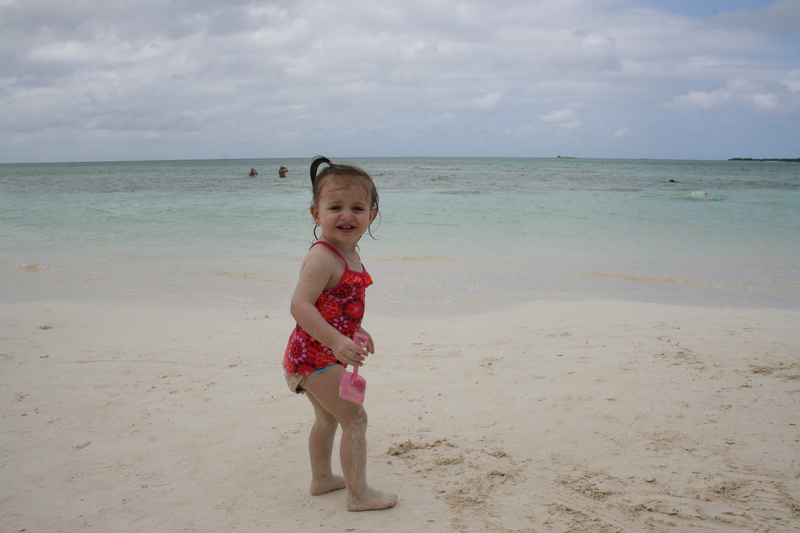 Our decision to focus our attention on Cuba was based on a few things but the one overwhelming reason was the BEACHES. The beaches in Cuba are so wonderful that it seems a bit unreal and almost magical. The pure white sand and clear turquoise water in amazing! 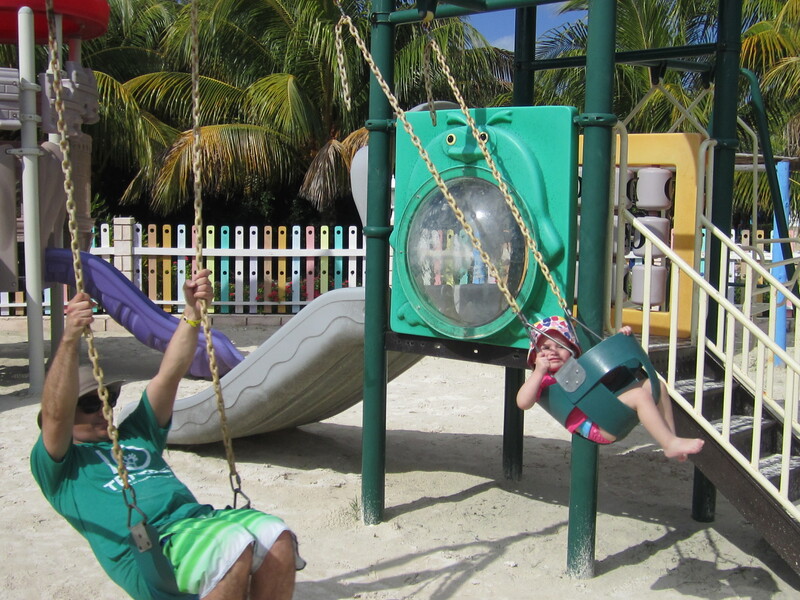 We had a hard time remembering the resort name… but to us and kids it was called “The Nachos” :) We chose this resort in the area for the options that it had for kids and it proved to be one of the best places for kids activities. The resort is located directly on the beach with just a short walk to get to the water from your rooms. Off the beach, there was also a ship wreck (you can see it in the above photo) that you could easily swim/walk to and explore. We packed our snorkel gear, but they did have some there you could rent, and it was one of the best parts of our day for sure. Our kids were a bit too young, but our nephew who was a about 7 was old enough to go out and explore. Many kinds of fish to discover in their natural habitat and the kids favourite was the starfish! There was also snorkeling right off the beach too. 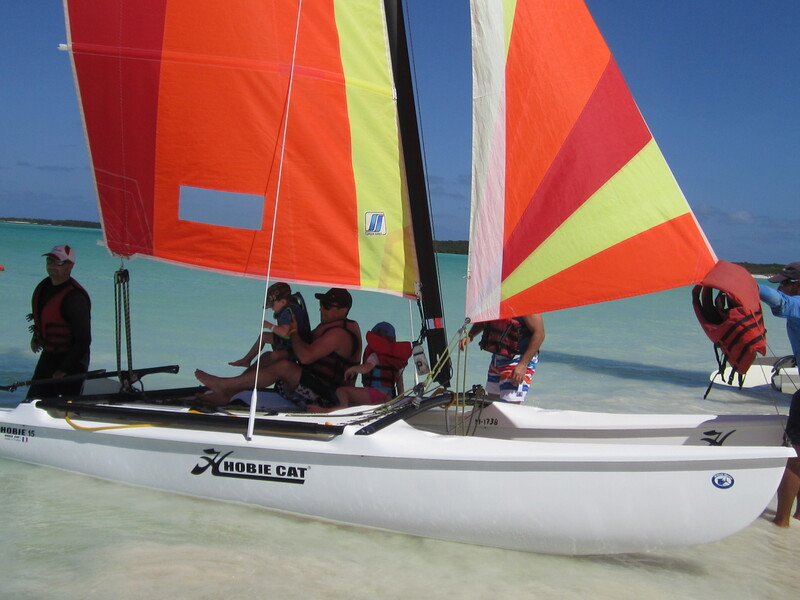 We also went out on a catamaran for a short little ride, the kids couldn’t stop talking about it that evening at supper. Its was the highlight of the day. This was right off the resort beach so really convenient if all the family can’t go. They had 5 pools in total and the kids pools were amazing. 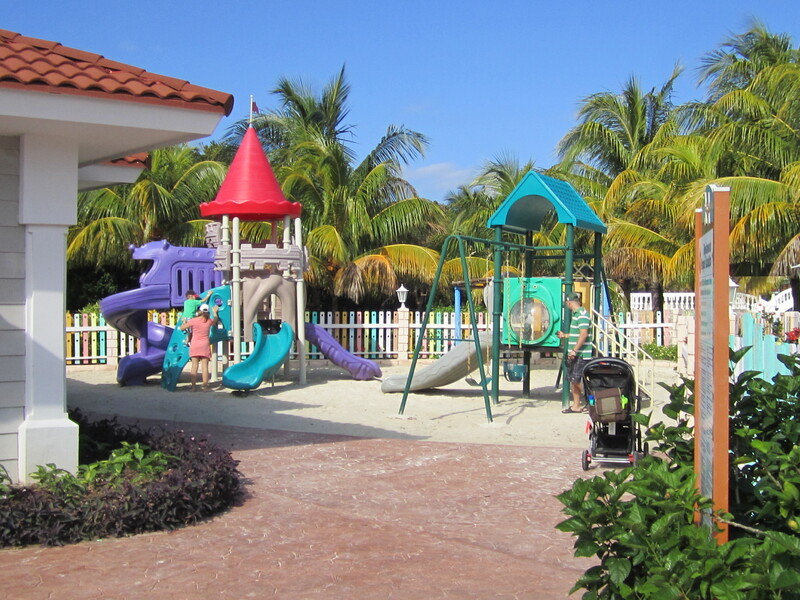 They had a great area with a play structure in the sand, a small waddling pool, a water play structure and kids activities at the beach. Each morning the kid knew exactly what time the water was turned on at the water play structure. 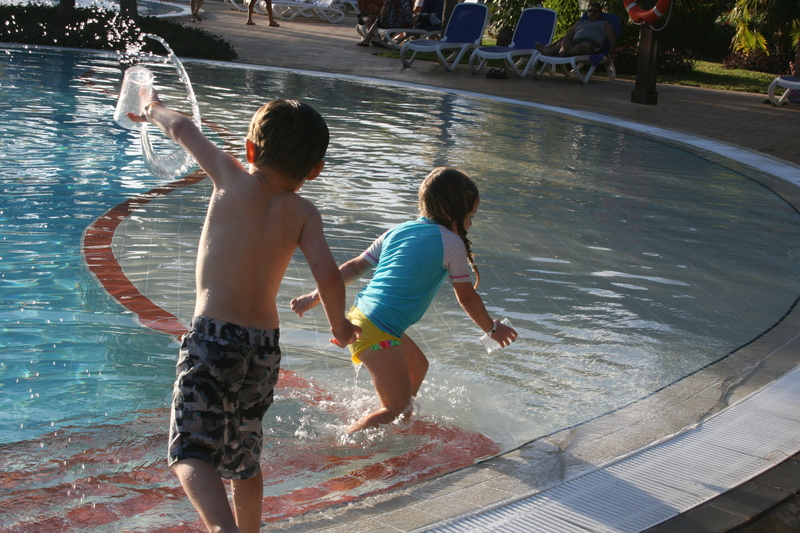 We spent many hours playing in this pool, and only dragging them out to re-apply the sunscreen. Another nice touch was that every afternoon the kids club would come around the pool areas and hand out ice cream to the kids, I think is was about 2:30 ish. They had different themes for the evening buffet suppers, so when you get there check into those and then arrange your a-la-carts around them if you can. We wanted make sure we attended the Seafood evening at the buffet and it was wonderful. The a-la-cart we liked best was the Seafood and Italian, both very welcoming with kids. During the day the resort has Snack bars, we ate mostly at the one on the beach. You must try their BBQ chicken, crazy amazing! They served hamburgers, fruit and fries which were our kids favourites. The hamburgers, I think partially pork, so tasted a little different from a North American burger, but excellent. They also had snacks like salsa and chips, fruit, etc that were readily available. The resort is actually quite large and covers a lot of space. 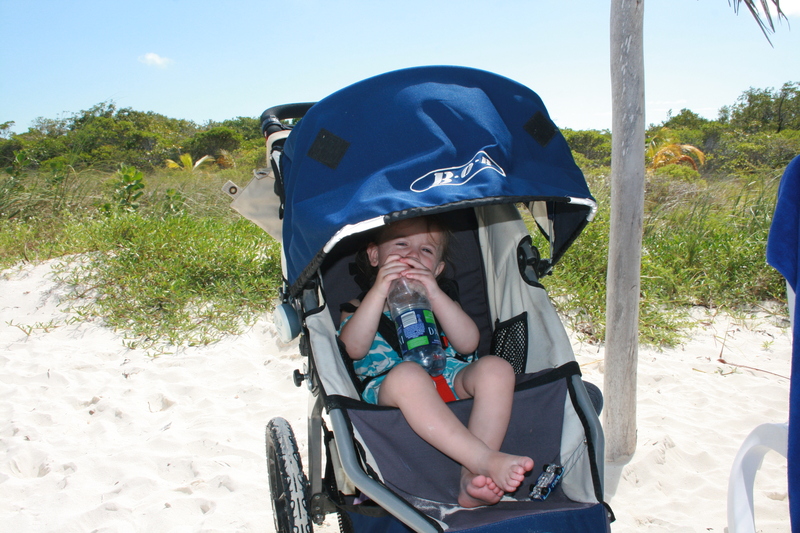 We had our BOB stroller, and could get everywhere with it and pile on the kids and all their stuff. So it was easy to get around. I would recommend if you have kids under 5 to bring a stroller even if it is just for walking around and nap time by the pool. This was one of the things I did not expect to be so good, but our kids wanted to get through their supper just so we could go! Every night they had 2 shows at their entertainment theatre, one for kids and then a later one for adults. Almost every night, we went to the kids show and they had a fabulous time getting involved and having fun! In the main lobby everyone seems to gather in the evening and they have lots of seating areas to lounge out in and kids scattered everywhere. I think the only place we didn’t really hang out in was the Cigar lounge, but that was more of a choice due to all the cigar smoke. Don’t get me wrong though, Cuban cigar are top shelf and if at all interested a thing for adults to check off their bucket list! In the seating areas they also had shuffle board and games randomly through the seating areas to entertain kids and adults for that matter. The rooms were surprisingly larger than what we expected. They had a large bath for the kids to leave a small sand castle in the bottom everyday :). A shower for us and even a separate toilet for those always adventurous family bathroom time! We had a king size bed and asked for a cot for Luca which they had in the room before arrive. For Sofia, we brought a Graco Pack n Play, which fit perfectly in the walk-in closet. Yep, she slept in a closet for our visit! The other thing we really liked was that it had a nice size balcony to be able to sit on after the kids were asleep and have a few drinks, listen to some music and relax since we didn’t have a separate room to go to. We always like to be outside as much as possible so the balcony was a great perk. There is a small gift shop for essentials like sunscreen, baby food, diapers, toiletries, chips, candy, etc. Nothing major and over priced but if you are in a pinch and need something you might be able to find something to hold you over. WiFi was not in the rooms, but was available in the hotel lobby. Based on what we are used to in Canada, it was really slow. But, if you needed to check anything important you could do it if need be. We did not take any tours off the resort this trip. 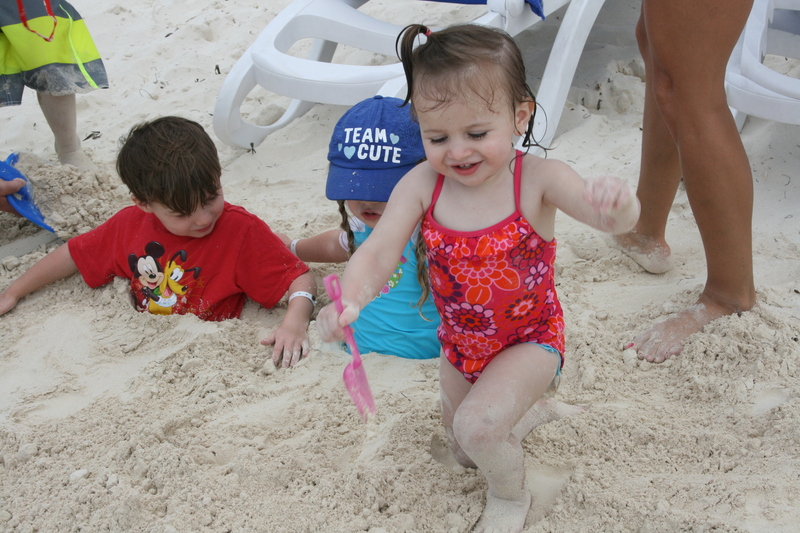 We were really just wanting to enjoy the resort, beach, pools and time with our kids. We found enough to do on the resort that we didn’t even feel like we missed out on exploring the near by attractions as we were only there for 7 days. We had also been to other parts of Cuba before as well, so we have been to a few of the key places to go to. They do have tours available and you can find more information out at the lobby/concierge if you are interested. As I was strolling Sofia around at 5am one morning, I had coffee with an older couple who were up and off to taking a trip to Havana by small plane for the day with a tour company. So, they have lots to offer as far as other excursions if you are interested. Transportation to and from the airport was through the tour operator on a air-conditioned bus. Super easy and relaxing ride to the resort and a chance to see the surrounding area. Always nice to have a beer on the bus ride to the resort. If you don’t travel well on buses then maybe have some anti nausea medicine packed. Bookings were done through Westjet Vacations, we have used them for reservations of flights and accommodation before and like always we have never had an issue! Check out their latest WestJet Vacations here for the upcoming winter getaways. You can check out the resort website for further information Iberostar Ensenachos. 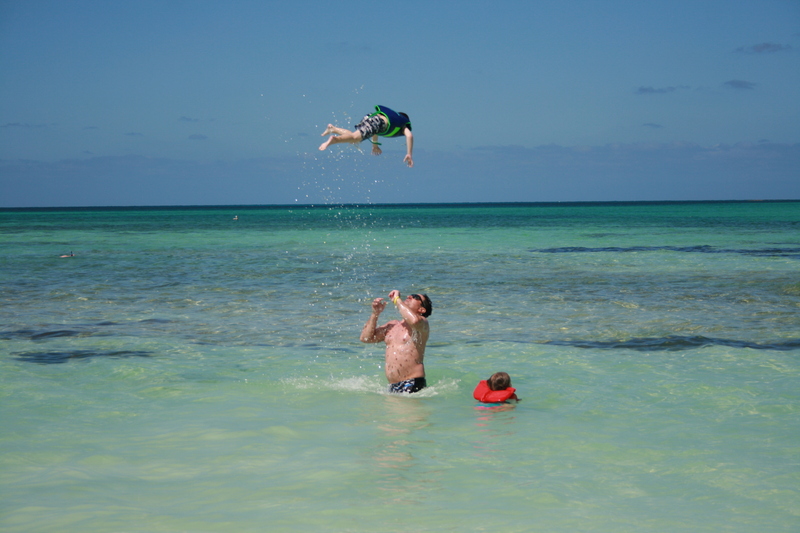 We took this trip to Cayo Santo Maria, Cuba in February 2014. Luca was 4 and Sofia was just under 2. Wow, looks like a fabulous family-friendly resort. I have not been to Cuba, but would love to explore the country and then maybe chill out on the beach – especially if the beaches all look like this! My kids would go crazy for all those playgrounds and water play areas! 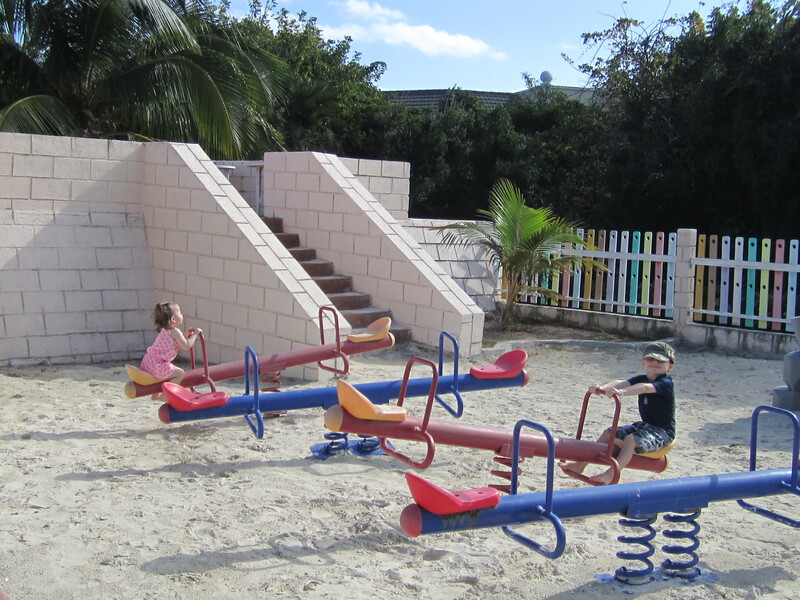 Thanks Marianne – Your kids would go crazy for the playgrounds and water play areas! I didn’t think there would be that much focused for kids, so I was pleasantly surprised. Ohhhh! I have to keep this in mind when we move back to the US. We LOVE all inclusive resorts. We went to one in Croatia that is just like the one mentioned above. The beach is absolutely gorgeous in your photos! It looks like your children had a blast too! 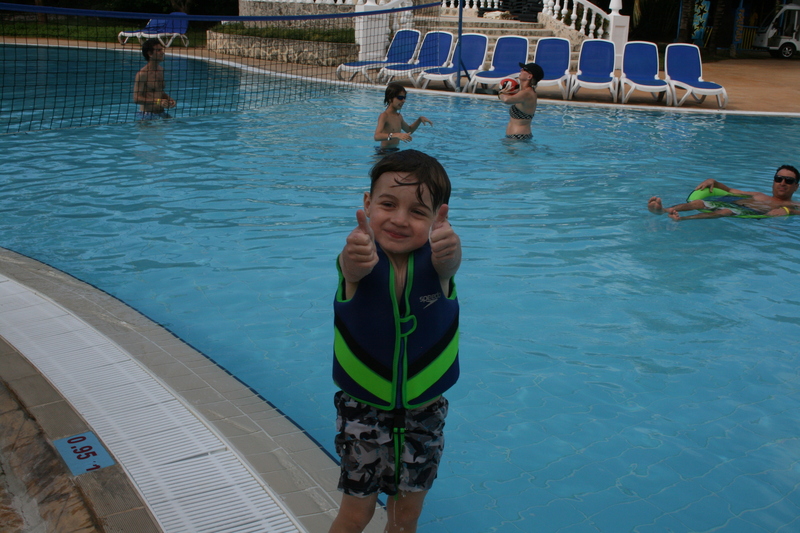 Thanks Kid Friendly Europe – our kids had a blast! What was the name of the resort in Croatia that you went to? Pine Beach! It is in the city of Pakostane. http://www.pinebeach.hr. I love the sound of “the nachos”! We really want to go to Cuba and I think this could be a great place to relax for a few days after exploring Havana. The colour of that water is incredible! Thanks Katja – Ha yep “the Nachos” has stuck in our kids heads and our too! 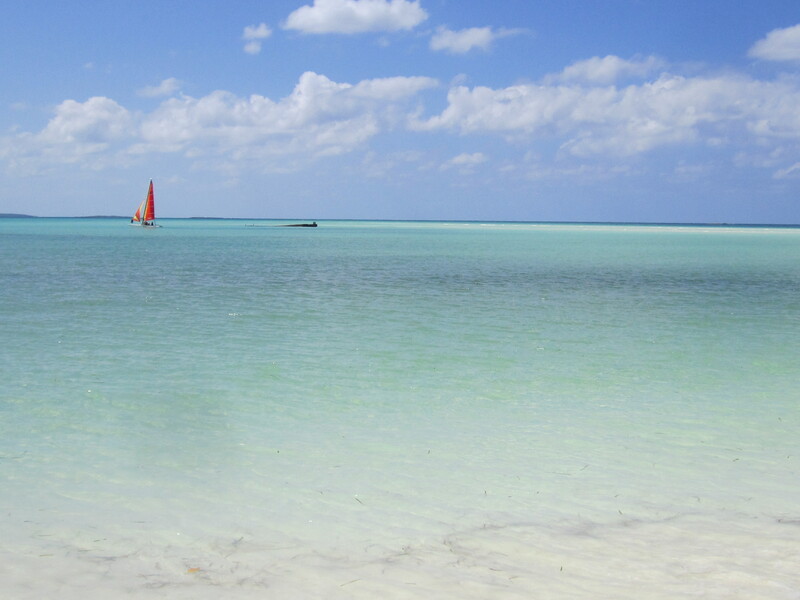 You are on the right track, visit Havana first and then relax on the beaches. We have been to both and very different types of vacations. 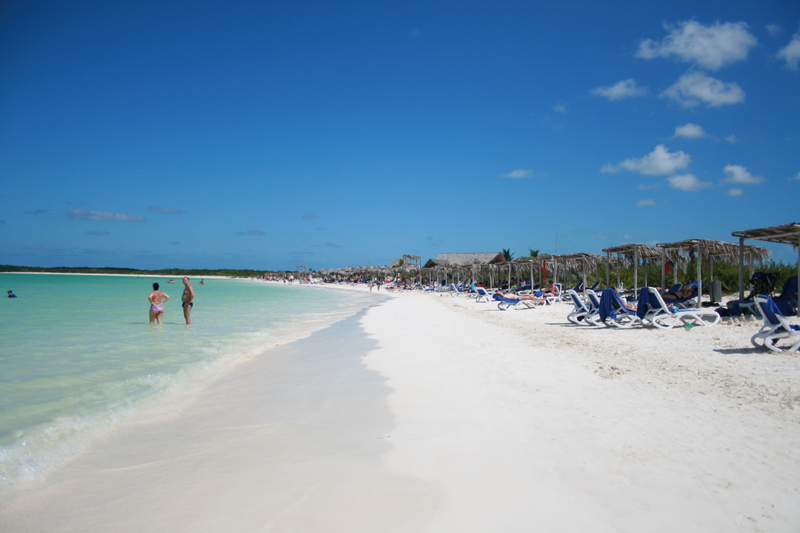 Cayo Santa Maria is just a short plane ride from Havana. Lots of culture to explore. It’s so not fair to post about beautiful, sunny, warm beaches while I’m freezing in gloomy, overcast England. I’m going to be dreaming about the ‘Nachos” resort all week now! I’d never even considered Cuba as a beach destination, but your pictures have me totally rethinking that!